Everybody wanted one, back in the day. 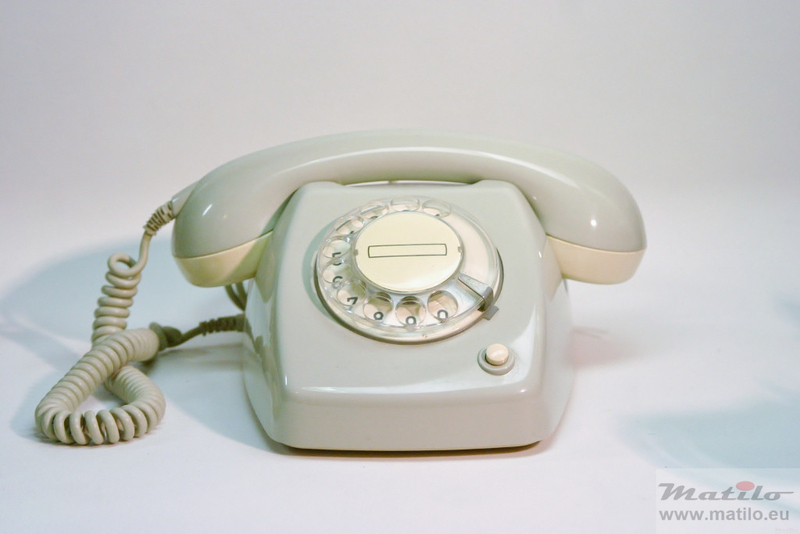 When the state company of Post, Telegraph and Telephone was still the master of the telephone network this was the standard telephone. 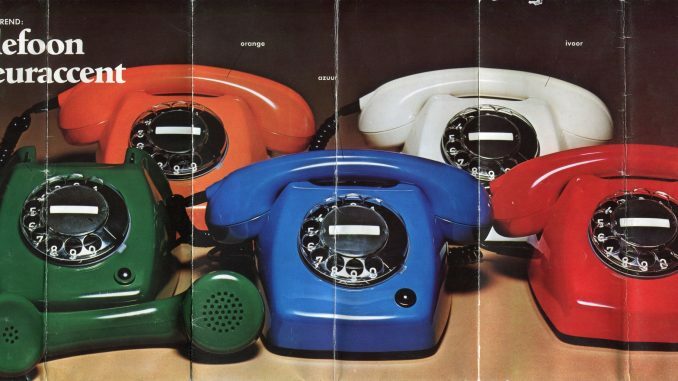 It was that new telephone, modern. You did not want an old fashioned black one. Those were for old people. The T65 belonged to Holland, like green telephone booths, yellow trains, blue post offices, Fred Emmer (Fred Bucket, newsreader) and red mailboxes. 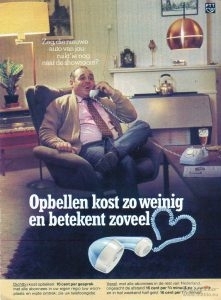 It was thé Dutch standard phone for 20 years. Seeing this phone still reminds many of the olden days, of home, their first phone, their parents phone and more and more of then their grandparents phone. It still does, but nowadays an increasing number of people have never seen in action in the wild. We did not have the new model in our home. We used to have a black bakelite one, a wall model even. Back then I wanted a new one too. Everybody had one; it was modern, up to date, high tech and above all futuristic. 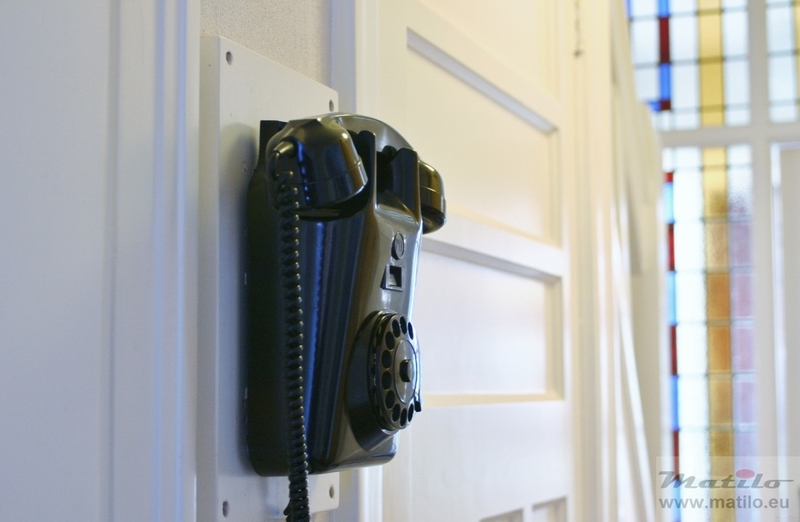 Where our black bakelite went, you can read in this article here. 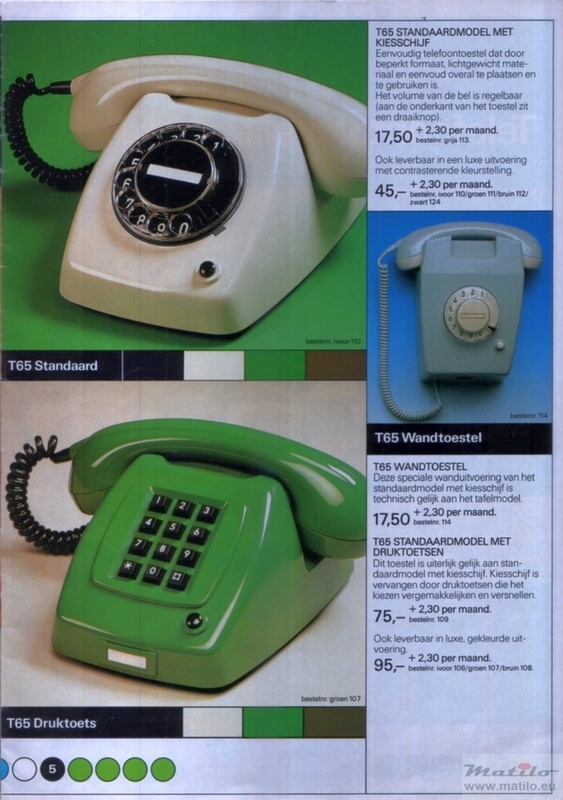 In the mid-80s we finally got that grey one: a W65. I still have it. Now I think it is horrible. It is a big ugly box: not at all as well designed as the desk top version. At the end of the 80s many T65s ended up in junk shops, or were, were thrown away. 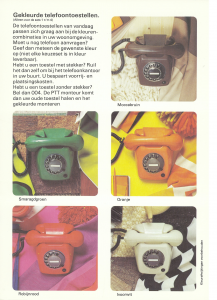 They were of little value and people preferred the nicely coloured touch tone phones. If possible a wireless one, with memory, answering machine, caller ID, lights, displays and a special ring tone. I used to buy T65s for 1 euro or 50 ct a piece and stripped it for useful parts, to restore older phones. In the mid-90s the T65s hit the news again. KPN, the successor of PTT, silently pocketed 1,5 guilders per year for telephones that long since made their way to the bin. The T65 was a rental phone and people payed like 1,50 guilder a month for them. They ended up paying for the actual value of the phone several times over. People went looking for a 2nd hand T65 to turn it in at a KPN store, to get rid of the rental contract until KPN ended all rental contracts under public pressure. By now this phone has seen Abraham, a Dutch expression for somebody who reaches the ripe old age of half a century. To my surprise its value is on the rise. People ask 15 to 20 euro for them, even though you often cannot actually use them anymore, unless you use a converter. Its many variants make it very collectable: not only does it come in all kinds of colours, but also with buttons, lights, add ons and so on. So it was high time that I wrote that article about everything I know about the T65. This story is nowhere to be found on the net. You can find it in bits and pieces in books, scattered web pages, in flyers, old ads, newspaper articles and in my head. It really needed to be brought together. As said, more and more people have never actually seen one in use, touched it or heared it ring. But people of a certain age, like me, view such an apple green, chocolate brown, bright orange or plain grey ringing monster with melancholy. 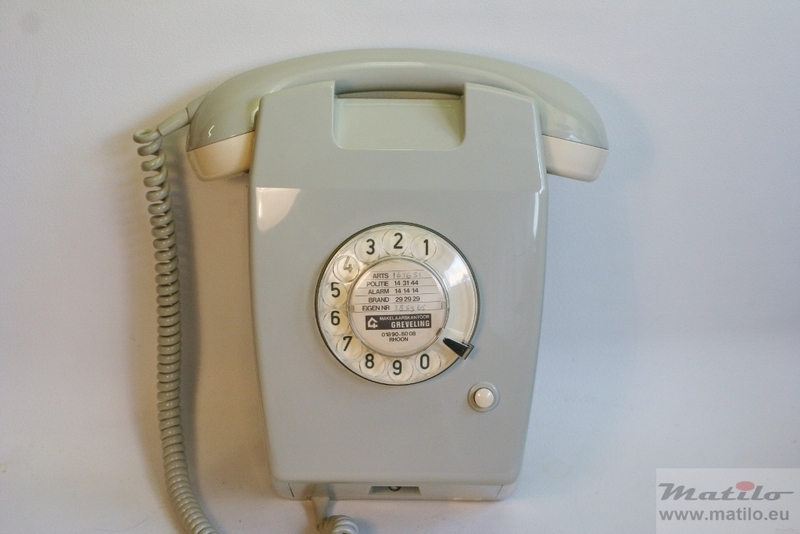 Back in the day a phone still had a rotary disk, went “triiiiing”, and when it did you just picked it up, without knowing who was on the other end. And you greeted the person on the other end and stated your name. That is how things were done, in those days. Was the T65 your first phone? Or did you have a different model? Did your aunt have one? Or did you see one at a flea market and you wondered what on earth it was? Do you actually know how to use it? And here is that article with everything I know about the T65.